If we design changes or we pull the wrong angle, we may need to rotate one or more objects that we make. we can easily rotate an object or objects around the basic point that we specify. Base point is usually the object snap points on the object. To demonstrate the rotation, determine the angle of rotation. By default, the zero is to the right, and increased degrees if counter-clockwise. By setting a negative angle, we can change the object clockwise. 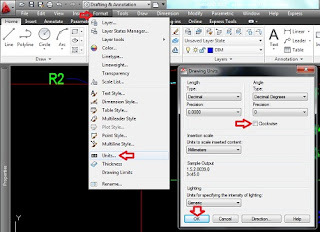 To rotate the object, choose Rotate from the Modify toolbar and select one object. 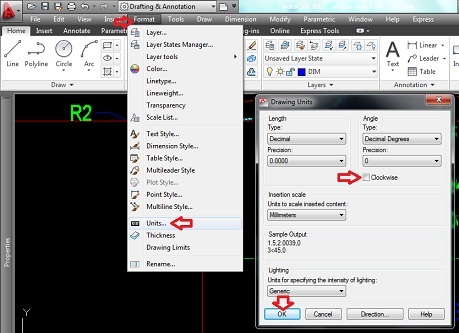 Alternatively, select the object and then select Rotate from the Modify toolbar. Specify base point: prompt, indicating a point about what we want to play. Specify rotation angle or [Copy / Reference]: prompt, type the angle on the command line. Use the Copy option to make a copy of the original object. 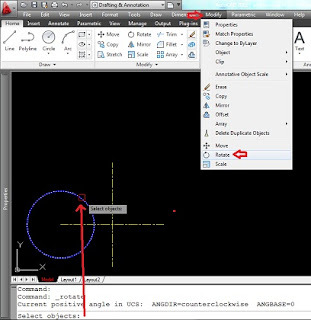 Once we use the copy option, the prompt return of the same so that we can determine the angle of rotation. Eventually there will be two objects, one in the original rotation angle and rotation angle new one.